As big as Texas is, it is surprisingly easy to get around if you stay in one geographic area. Central Texas, also known as the beautiful Hill Country area of the state, has several great towns and sites that are accessible from Austin or San Antonio. You can have a weekend adventure and stay at a local inn or bed and breakfast on one of your stops, or you can go back and forth from a central location in one day. For starters, if you are visiting or living in San Antonio or Austin, a logical trip is to head up or down Interstate I-35 and visit your sister city to the north or south. These two cities are only a bit more than an hour apart, but they're vastly different in culture, feel, population and entertainment. Both cities have rivers running through their downtown areas, but each city has handled that geographic (and somewhat man-made) feature in its own way. Austin's Colorado River is bordered by parks and jogging trails, while the San Antonio River has become a hub for dining and entertainment in the Alamo City. Other great places to visit are Fredericksburg, Salado, Round Top and Winedale. Although the towns are not that far apart, each has its own history, feel and characteristics, and each offers unique things to see and do, whether you visit for a day, a weekend, or a week. Be sure to visit scenic Austin, the Capital City of Texas if you haven't yet dropped by for a spell. Austin's famous live music scene is probably the best known feature of this city, but don't stop there, or you will miss some great local attractions. If you take a short trip to Austin, spend your daytime hours seeing the historic treasures the city has to offer before checking out the music venues that night. The French Legation Museum is a small landmark just east of the downtown area that has historic displays documenting France's recognition of Texas as an independent state by establishing official representation in the city. Just across Interstate-35 and a few exits to the north is the LBJ Library and Museum. Parking is free and easy to access at both locations. The flagship store for Whole Foods (which was founded in Austin) is located not far from these two sites; you can stop here for a meal, snack, some organic shopping and to stare in awe at the amazing features the store offers. If you're in a car, take a scenic ride on Loop 360, which circles the west side of the city. You'll see rock cliffs, rolling hills (you're truly in Hill Country now), and the award-winning 360 Bridge (the Percy Pennybacker Bridge), which arches over the Colorado River to the northwest of the downtown area. 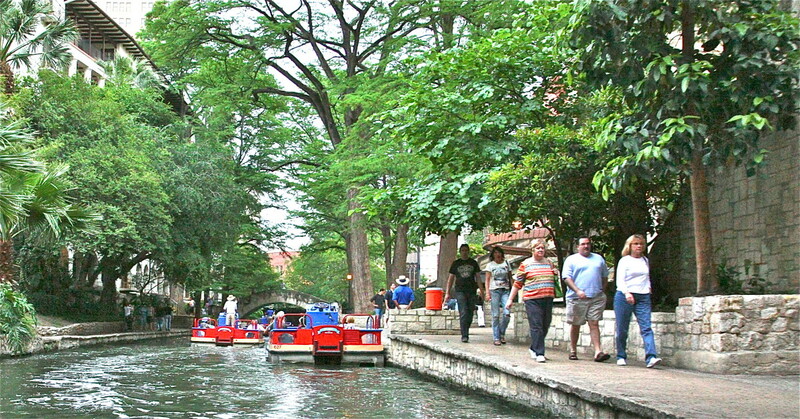 San Antonio Texas is known for its lively and beautiful River Walk, its historic missions and the Alamo. You can easily tour one or more of these in one day, or perhaps see the San Antonio Zoo or one of its museums. The five missions in the area (one of which is the Alamo) mark the immigration of Europeans and their culture and religion to Central Texas. The San Antonio Zoo is well worth visiting and can be seen in just a few hours. On your way out of the front gate, visit the Sunken Gardens, located on the hill opposite the main parking lot. Entry to the Sunken Garden is free, and the lagoon, floral plantings and water lilies offer a small tropical oasis that begs to be used as a background for photos of the family. 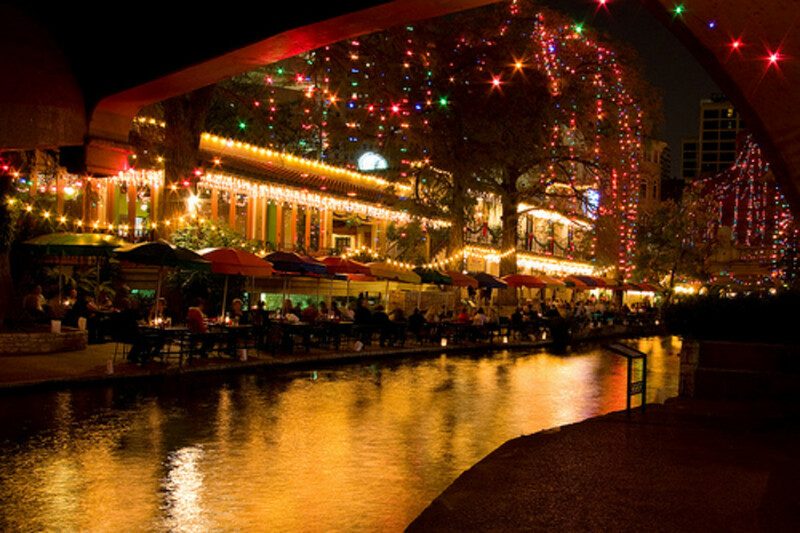 The River Walk has historic restaurants as well as newer culinary offerings, shops and souvenirs. You can ride a tour boat and learn about local history and architecture from the boat captain and guide. This quaint German town is located about 70 miles southwest of Austin, in the heart of the Texas Hill Country. As you enter Main Street, you'll immediately notice the brick and limestone storefronts lining each side of the street (many of them preserved as historic landmarks). You can spend many hours browsing for antiques and crafts, and enjoying ice cream, home-baked pastries and other goodies along the way. The town is known for it's great food (several German restaurants as well as some small cafes and a favorite bakery) as well as its rich history. 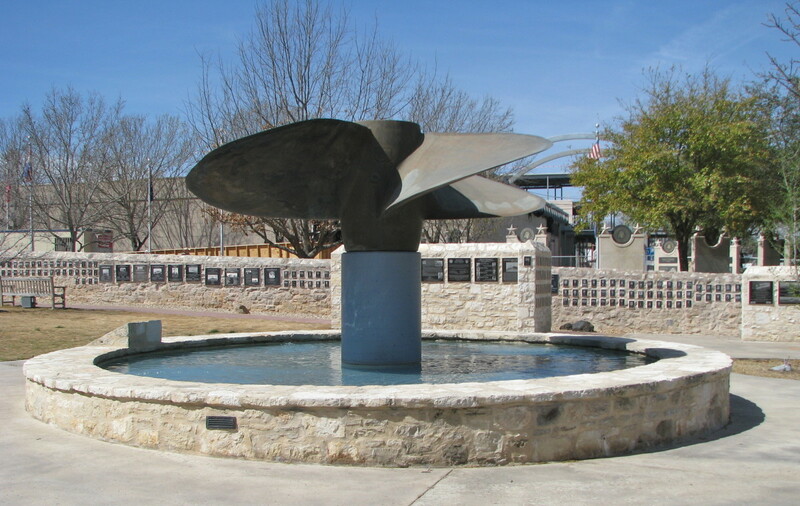 It is the county seat of Gillespie County and is also home to the National Museum of the Pacific War (also referred to as the Admiral Nimitz Museum). The first European settlers arrived in the area in 1846, and had some stressful times at first until reaching a treaty with the Comanches (who decided the newcomers were more interested in farming and living peaceful lives than in going to war with them). The events surrounding this treaty were celebrated for years through the Fredericksburg Easter Fires Pageant, in which townspeople played the parts of Indians, Settlers and Easter Bunnies. The pageant reenacted a local legend about a settler woman who calmed the fears of her children one Easter by telling them the fires they saw in the hills were a sign the Easter Bunny was boiling and coloring eggs for them. 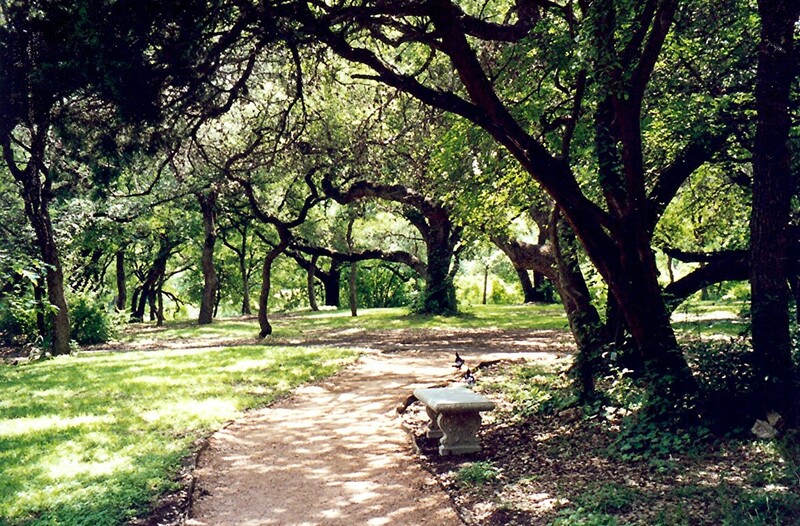 Nearby attractions include the Lady Bird Johnson Park. 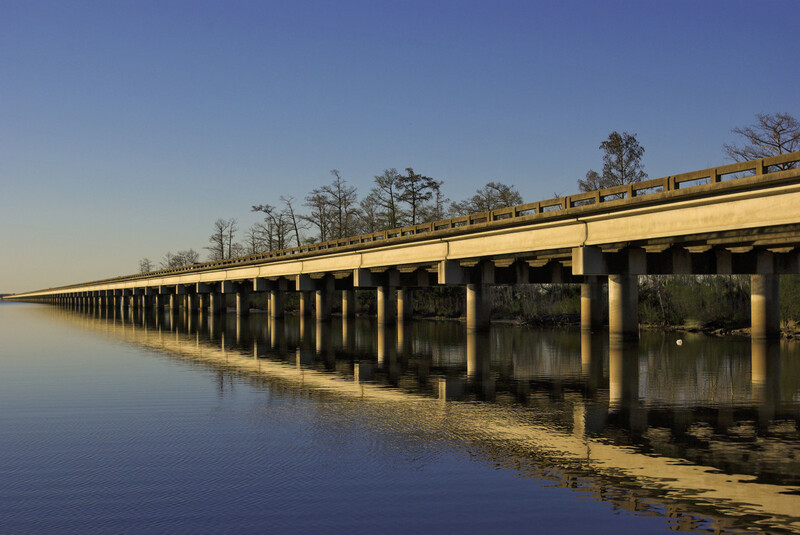 The park has a golf course and RV sites with full hook-ups as well as areas for grilling and picnics and a small lake where visitors can canoe or fish. Enchanted Rock is another popular Central Texas spot. This mammoth rock formation (the base covers 640 acres) is preserved as a State Natural Area by the Texas Parks and Wildlife Department. The park, located 18 miles to the north of Fredericksburg, has a campground, hiking trails and educational exhibits. To the north of Austin, the town of Salado was founded in 1859 at a crossing site of Salado Creek. The town's gristmill and ready access to other mills in the area helped it thrive in its early days, and it also became known for its educational facilities (among the earliest in Central Texas). In later years, Salado was eclipsed by other nearby cities (notably Austin and Waco), but it remains one of the favored jewels of Central Texas and is beloved for its beauty, charming historic buildings and arts community. A stop at the famed Stagecoach Inn is almost a must if you visit the town. The dining room is open Thursdays through Sundays for lunch as well as dinner. You will feel you stepped more than a century back in time in the faded elegance of the inn's historic dining area. If you tour the local shops you'll find antiques, pottery, original artwork, fine jewelry, crafts and more. You can visit these small towns (actually, Winedale isn't even big enough to be called a town) any time of the year, but if you like Shakespeare, you might plan your trip for July and August. No matter what time you visit, though, Round Top and the surrounding area has a wealth of antiques to offer as well as some great food. Shakespeare at Winedale is a state treasure and gift from the University of Texas' English Department (yes, English, not Drama). The summer program was launched in 1970 as the brainchild of the now-retired Professor James Ayers, who wanted a venue for studying Shakespeare's plays through performance. The entire town quickly adopted the program as part of the local family and culture. Students who participate in the intense, two-month course are often hosted for dinners by townsfolk, and children in the area have performed in the plays when parts call for youth. The program culminates in three plays performed during a series of weekends in late July and early August. Each weekend includes all three plays, and student/actors learn to switch characters between afternoon and evening performances as they assume new roles for each play. Plays are performed in an open-air barn (there's a roof, but no walls), and actors dash in and out through the aisles as well as the small backstage area. In the fall, antique buffs flock to the area for the gigantic Antique Show, which lasts from late September through early October. In addition to the many shops in Round Top and nearby towns, tents and temporary antique displays line the highway in every direction. If you like antiques, bring a truck; you'll need it. LOL! I wasn't born here, but that was just a test to see if I was smart enough to find my way on my own. Love it here! Yes, indeed! I wandered around the country for a few years, but I finally found my way back home. Thanks, TX! We have a great state here, don't we? Thank you, Jane! Now that you mention it, I get the same sense of history here - and I've lived here for many years. Hope you visit again sometime soon! A great hub. Being from New Hampshire, it was a great treat to visit our daughter in Texas and travel to San Antonio to view the Alamo and walk the river walk. With my husbands interest in western history and the stories of Louis L'Amour to follow, we saw many sites, rivers, even trees and bushes that he depicted in his novels. It was like traveling back in history to all those great places. A great hub! Thanks, Alicia! I hope you plan a trip here sometime soon! The River Walk is great, and it's a huge favorite here. Yes, Whole Foods was founded here - in Austin, actually. I remember the early days when it was just a funky organic grocery store. Now it is a world-class leader in green living. Thank you for a very enjoyable tour of some Texas highlights, Marcy. I would love to visit Texas. 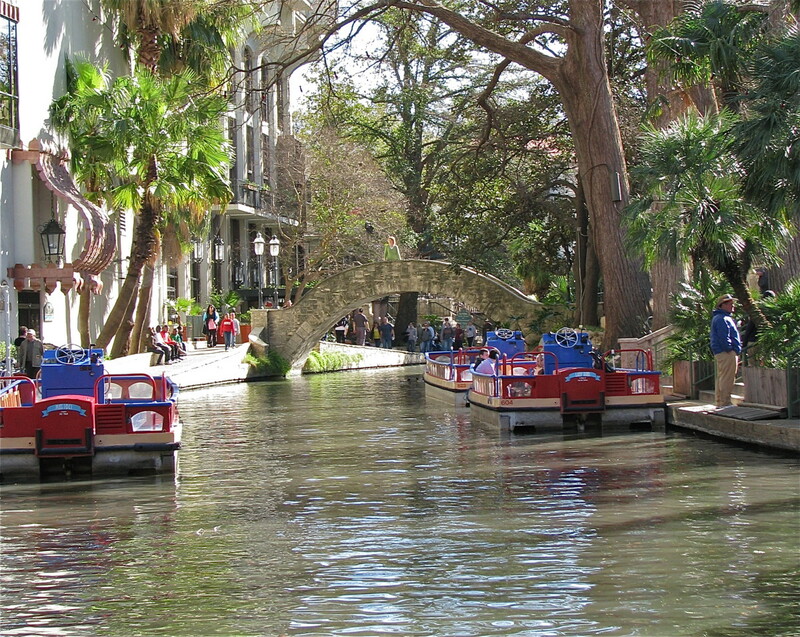 The River Walk in San Antonio is especially enticing. It was interesting to discover that Whole Foods - whose stores I often visit - was founded in Texas. Hi, Debbie - I'm so glad you've seen and experienced the beautiful River Walk! It is indeed one of those places you can return to over and over, and still enjoy it as much as the first time you visited. Thanks for reading, and for your sweet comments! Marcy this is my favorite place to visit.. I love the river walk.. I had the best time there.. thank you for bringing back so many memories. Hi, Amy! Please do plan to visit soon - there are so many great little places to see in Texas. I hope you put us on your list of vacation spots! I haven't heard of a lot of these places, but I'm ready to visit! My husband enjoyed a work trip to San Antonio last year, and I've wanted to come ever since. Well written and interesting, as always. Hi, Articlesking - thanks for reading and voting! So glad you like the hub! Hi, Sis - thanks for confirming that these are great places to visit in our state - I'm guessing you have even more you can add to the list. I could have done a book's worth of great spots, but I had to edit it down to hub-length! I appreciate your warm thoughts - so glad you like the hub! Hi, Austinstar - yes, I am in SW Austin - we still need to get together! Soon! Thanks for the kind words on the photos! Oh, gosh, Kelley - thanks for the apology, but none needed! You should see what happens with Goodfleisch! 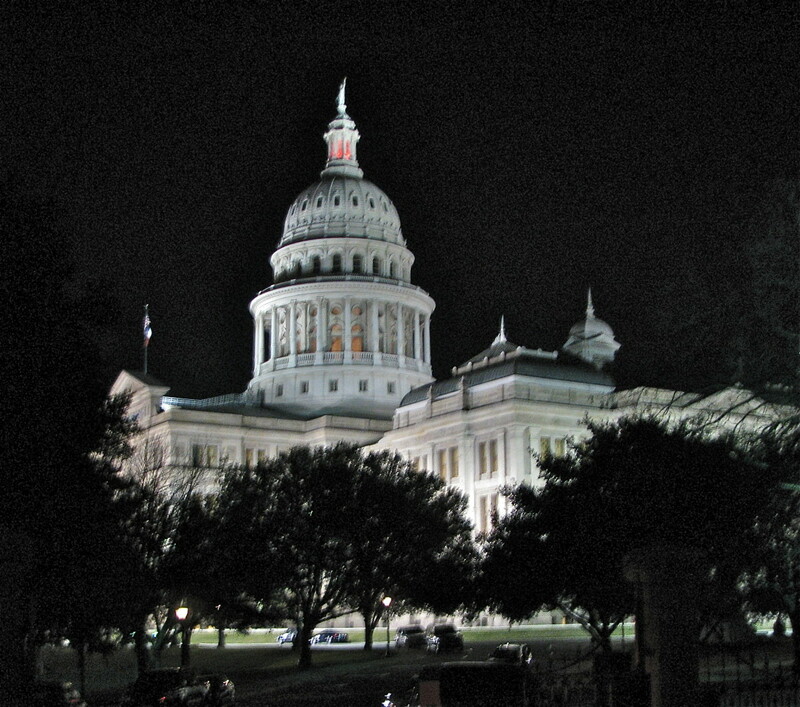 Loved the photo of the capitol at night. Very nice. Excellent Alamo shot too. I've been to all these places and more. Central Texas is my home. You live on the south side, right? I'm NW close to Lago Vista. Just noticed I had a type in your name Marcy. Sorry! Oh, I am so glad you got to visit here, RealHousewife - wish I had known you then so we could have said hello as well! I agree, the men here are great, and they truly do have manners that are more traditional. If you ever go to a real Texas Dance Hall, you can see it in the gentle way the men hold their partners as they two-step. It's a beautiful thing. Thanks for reading and sharing your experience. The Driskill is full of local history, and it's a great spot for seeing all of Austin's downtown scene. Only blocks from the Capitol, and as you said, it's right on Sixth Street. Just walk out the door and You Are There! Hi, Kelley! I hope you make it here to River City (our nickname for Austin)! Please let me know so we can say hi. Thanks for reading and commenting here! Please do come and visit, Kaili - maybe we can convert you into a Texan! All the cities are completely different in look and feel. Even Fort Worth, right next to Dallas, is different than Dallas! Many thanks for your kind comments, and don't forget to visit soon! Hi, Graham! You know, I grew up in Ohio, so I really had no concept of how big this state is. It's also more accessible than Alaska (which has more square miles, apparently) so we use the whole state, not just parts of it. In Ohio, it was a big deal to drive 70 miles or more, but here, we will hop in the car and zip up to Dallas (about 180 miles) or down to San Antonio (about 80 miles) or over to Houston (about 160 miles) and think nothing of it. We also drive back the same day. It just becomes a way of life! Thanks so much for reading and commenting, and I hope you cross the pond one day to visit! Hi Marcy - I love Texas! I was just there a few months ago - I met up with fellow hubber Austinstar and I did go to their huge Museum! I had a blast! I stayed at the Driskill on 6th and it was so cool! It's a terrific place to visit - and females can travel alone there. The men Texas are always so gallant and chivalry isn't dead there:) I had a great time with my girlfriends - we had plenty to do and the food is wonderful! Hi Marcy...this sounds fantastic. I have only ever been to Dallas and Houston on business, and would love to see San Antonio. Thank you for sharing! Voted up, useful and interesting. Hello Marcy. Another great hub from you. here in the uk we know that Texas is said to be a 'big' place. 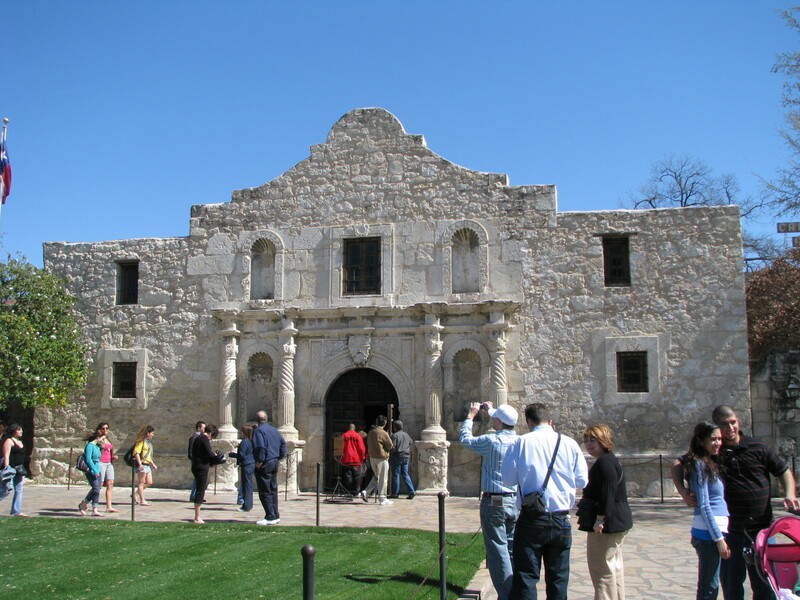 We all know the story of the Alamo as well, due to the films and stories. Hi, grishpuri - I'm so glad you like the hub! I hope you're able to get this way and see Texas sometime soon. Thanks for reading and commenting! Hi, Nare - I do hope you get a chance to come this way sometime - it is a beautiful state, and people often decide to move here after being sent here for business or school! You should take a trip sometime and see Central Texas, Aviannovice! Many people are amazed at how beautiful our state is. Thanks for your comments! Wow, Marcy, how I would love to visit Texas! You hub makes me want it even more :) You have shared a lot of good info and nice pics. Great job! Sounds like a good time around the Austin area. I have never been to TX. Hi, Xsatic - I'm sure a lot has changed since you were here, but a lot will still look familiar! Many years ago, I saw a WWII vintage photo in one of my uncles' files, and it looked very familiar (this was in the early 80s). It was the Sunken Garden in San Antonio - a B&W photo, but clearly the same place, and the markings on the back confirmed it. As we say here in Texas, Y'all come on down! I'd love to meet up with you in SA and show you the sights there, Billy! I think you'd love it - and thank you for reading and commenting here! Great information here! I lived in San Antonio wayyyy back in the fifties as a kid, would love to see the improved River Walk and Edison High School if it is still around. 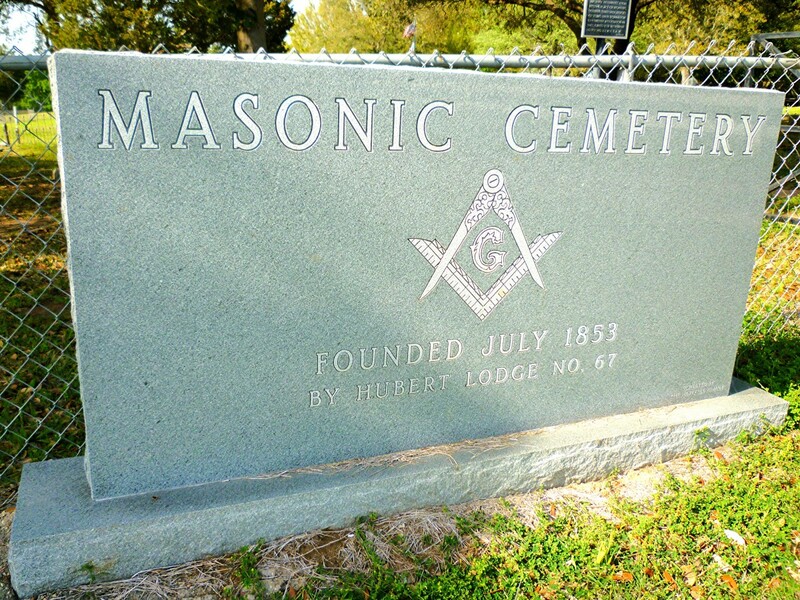 I have been to Austin and Fredricksburg many times (back then too). If I ever get down there I definitely want to see the River Walk and the Alamo. I have heard so much about both that they are now must-sees in my book. Thanks for the tour; you wetted my interest.